Frameworks are one of the primary development tools which aid in better and faster web development. By making use of frameworks, programmers can develop a maintainable, well structured, and upgradable websites in less time. Responsiveness is among the most important evolutions in web designing. 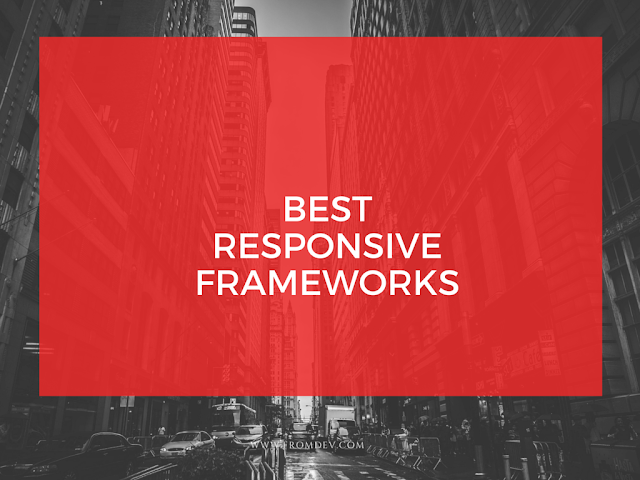 With surge in gadgets like smartphone, tablets and smartwatches, responsive frameworks are gaining huge recognition. In this blog post, we are going to compare features of 5 most promising frameworks in the year 2016 viz Bootstrap, Foundation, Semantic UI, Pure and UIkit. Divider, Flag, Rail, Reveal, Step, Advertisement, Card, Feed, Item, Statistic, Dimmer, Rating, Shape. Currently, Bootstrap is an undisputable market leader in responsive frameworks. With correct responsive website design tools, this framework enables developing successful sites. Given its massive popularity and recognition, which is still growing on daily basis, you can be assured that this awesome framework will not fall short you, or make you alone on the way of constructing successful and feature rich websites. The key strength of Bootstrap is its enormous popularity. Technically, it is certainly not superior to the other frameworks in the list; nevertheless, this framework provides considerably more resources such as third-party plug-ins, articles, tutorials, and so on than other 4 frameworks put together. To put it briefly, Bootstrap is far-and-wide and this is paramount reason individuals continue to pick this framework. Zurb’s Foundation is the next most demanding and favored framework in this assessment. With a strong backing of a company like ZURB, this framework has many advanced features. In fact, this framework is used by many big websites including Facebook, Yahoo!, Mozilla, National Geographic, and eBay to name a few. Foundation is a superb framework with business support, consulting and training offered. In addition to this, this framework offers a lot of resources to allow you to learn the framework in easier and faster way. One of the most popular frameworks, Semantic UI makes website designing task much more semantic. This framework utilizes the concept of natural language, which makes codes a lot more understandable. It is the most sophisticated framework among those stated here. Besides, the complete structure and naming conventions of this popular framework also surpasses the other frameworks mentioned in this list. Pure framework is compltely written in CSS and is a lightweight, modular framework. It comprises various components which may be used together or separately according to your requirements. This framework provides only bare-bones styles which ensures clean start of project. It is an ideal framework for those people who don't need a fully featured framework, but need only some components for their project. UIkit by YOOtheme is an intelligent collection of easy to use and customize components. Although it is not as popular and used as other frameworks mentioned in the list, it provides the same functionality. Furthermore, designing a website with UIkit is pretty easy. It's successfully used in many WordPress themes. It also offers a flexible but powerful customization mechanism, either manually or via GUI customizer. After reading the comparison table, I’m sure you’ll be able to find the right framework according to your business needs. Right framework coupled with reputed web development company results in successful websites. So, next time be cautious while choosing the frameworks for your website. Mark Wilston is an avid tech lover and blogger at PixelCrayons. He loves to read and write different blogs related to web design and latest technologies. Contributing in a blog post aids him spreading the words online with a new set of people.